At the mere mention of the term ‘electric vehicle’, many of us imagine exciting, futuristic visions in the form of a sleek, pod-like creation that is silent in motion and packed full of A.I features. Of course this has all been perpetuated over a lifetime of future-seeking cinema and television, usually set to the backdrop of a towering metropolis and the occasional alien race. As astounding as it may seem, however, those once far-fetched car designs of the future are finally becoming more prevalent in the present – and are set for a starring role in the future. 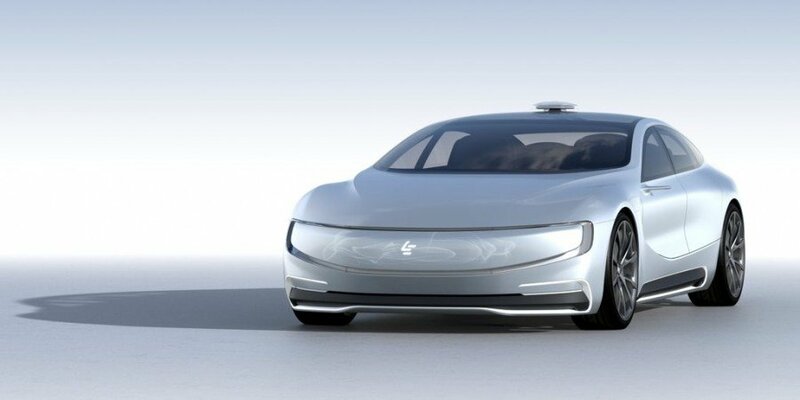 With the release of a stunning new concept electric vehicle, billionaire Jia Yueting and his company LeEco have issued a statement of intent, aiming to usurp Tesla, the prominent father of the electric vehicle, from its electric-powered throne. This level of competitive ‘drive’, complete with the financial and intellectual clout available to both companies in question, really does suggest that we are now embarking on an era in which major breakthroughs in electrical automotive engineering and technology hybrids may finally be realised. The implications of this particular ‘battle’ are set to stretch far and wide. Make no mistake, this is first and foremost a win for the environment. Cool, stylish and must-have electric vehicles are the best bet of ‘green’ breaking into the automotive mainstream, convincing car owners to swap to a more sustainable and environmentally friendly alternative to their existing fuel guzzlers. Then there’s the impact on young start-up companies and entrepreneurs based in the UK and overseas. Inspired by the impressive entrepreneurial abilities of the likes of Elon Musk and his agenda-setting technological advances, young entrepreneurs and engineers will be developing more and more advanced green technology long into the future. Additionally, as the demand for electric vehicles continues to grow there will also likely be an increased need for specialised engineering, such as copper cold forming. Copper is an excellent conductor of electricity and therefore an essential material in electric vehicles. With cold forming, manufacturers of electric vehicles have a process which is a fast, economical way to produce robust and complex copper components – and with minimal waste, it is just what is required for a vehicle championing sustainability. So here’s to the future, one that is promising and exciting for both engineering and technologically advanced electric vehicle production. Except, let’s perhaps take heed of a few well-known science fiction disasters and safeguard against any SkyNet-esque event if at all possible! More Herbie, less Terminator.